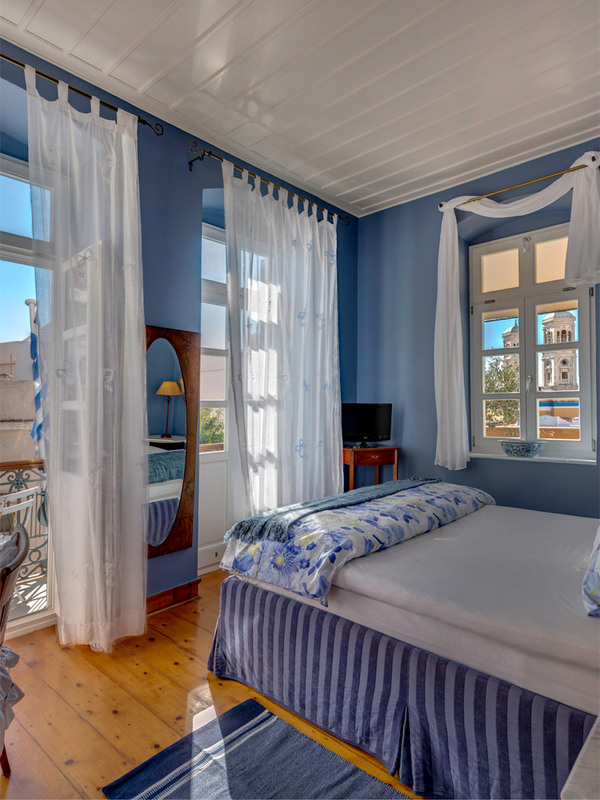 Our deluxe double room is a space where the blue-and-vanilla color scheme, furniture, and fabrics exude an ambience of utter tranquility and pure relaxation. 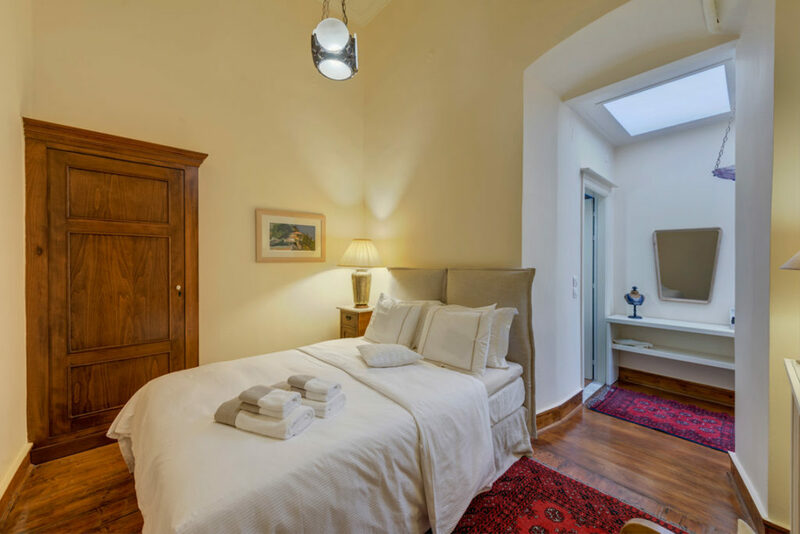 It is furnished with a double bed, inviting you to sink in and simply lose yourself in its comfort. Its COCO-MAT mattress, top mattress, and pillows are dressed in white bed linen redolent with the fragrance of times gone by. 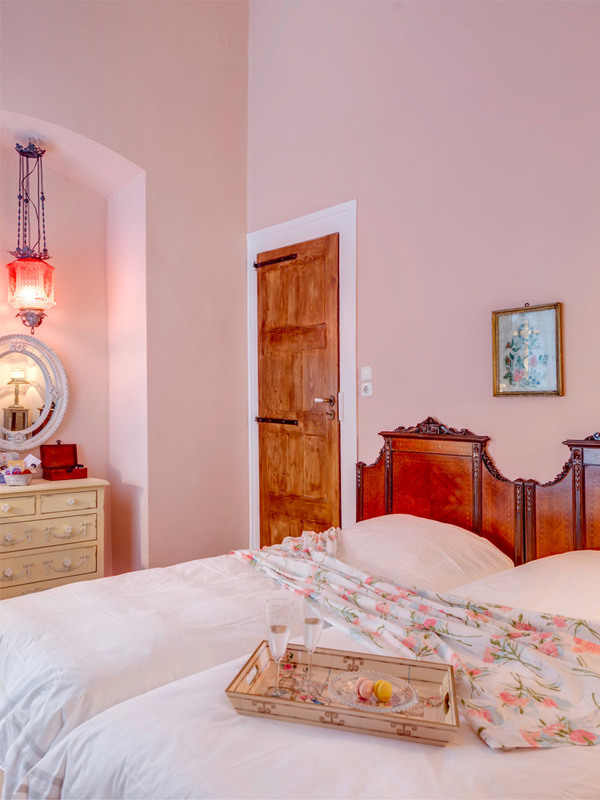 In terms of décor, our Deluxe Double Room is our accommodations’ most modern room featuring contemporary furniture subtly touched with a few decorative strokes of another era. 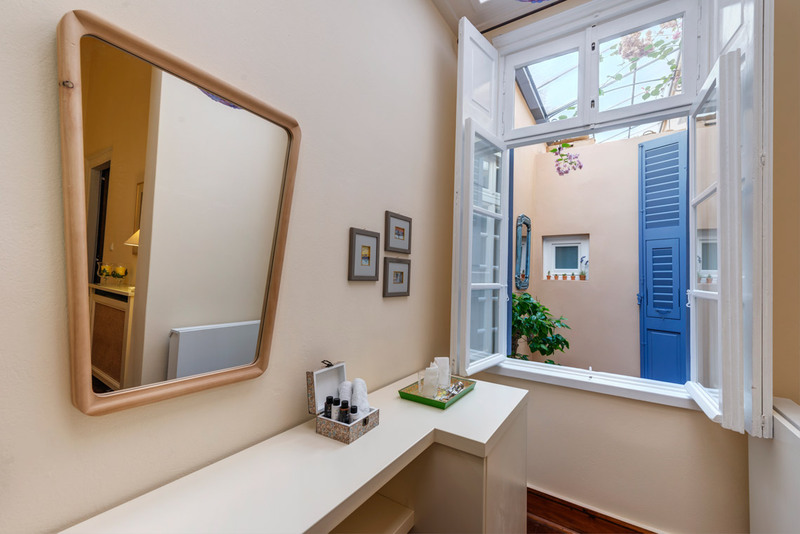 Our deluxe double room has a window overlooking a small, sheltered courtyard which, in essence, is a small atrium. 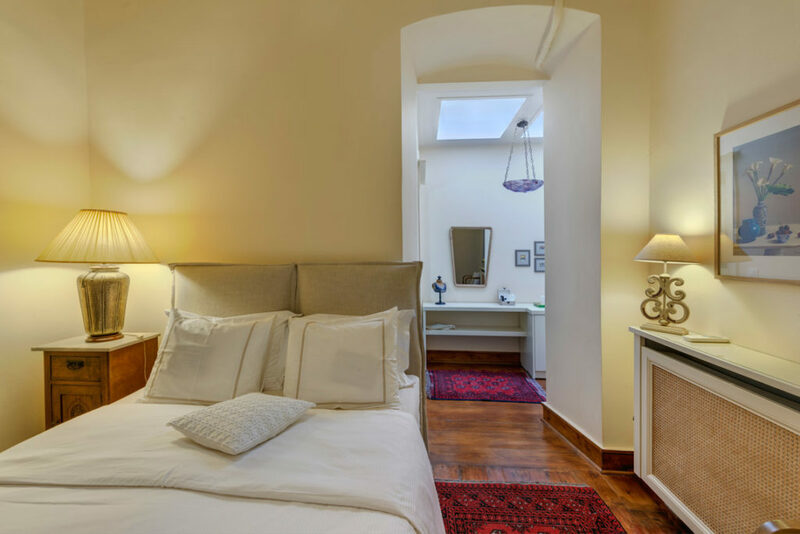 The bathroom is comfortable and outfitted with a roomy shower stall and offers guests COCO-MAT slippers and toiletries. 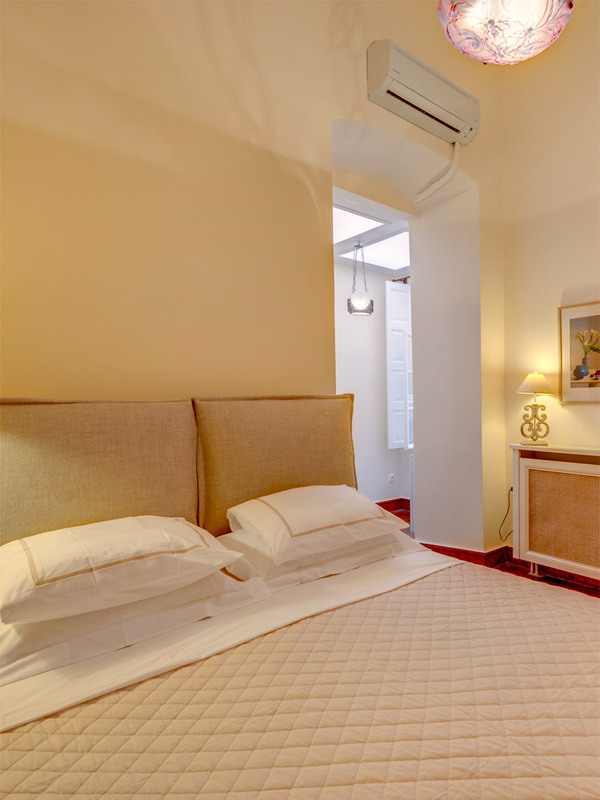 The room is also equipped with a safe box and all the necessities that will make your stay a cozy and memorable one.